Penda Learning has enhanced the end-of-activity summary screen students receive when they complete an activity. At the end of each activity, students will now see their score, points earned & receive 1 of 5 feedback messages based on the score earned. 0-59% - Keep trying - Work on achieving a better score. The goal is 80% or above. Take care and don't just click through the activity! 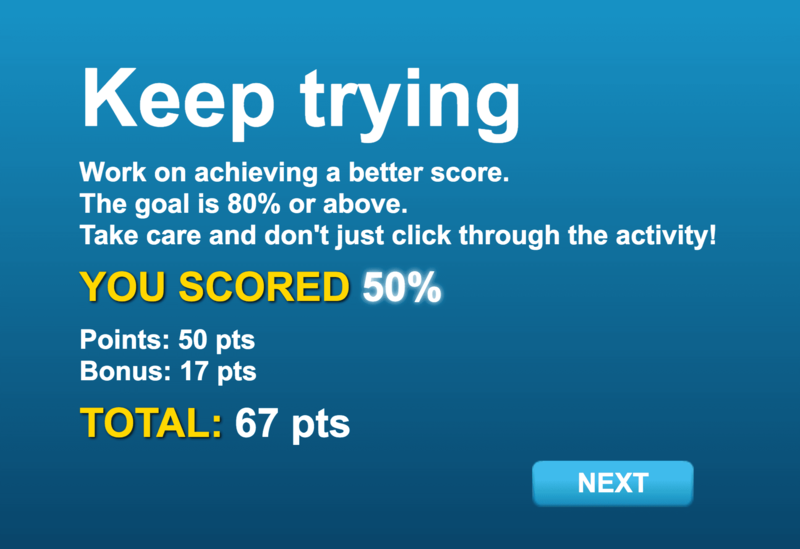 60-69% - You can do better - Try the activity again to improve your score. The goal is 80% or above. Consider taking notes as you complete the activity. 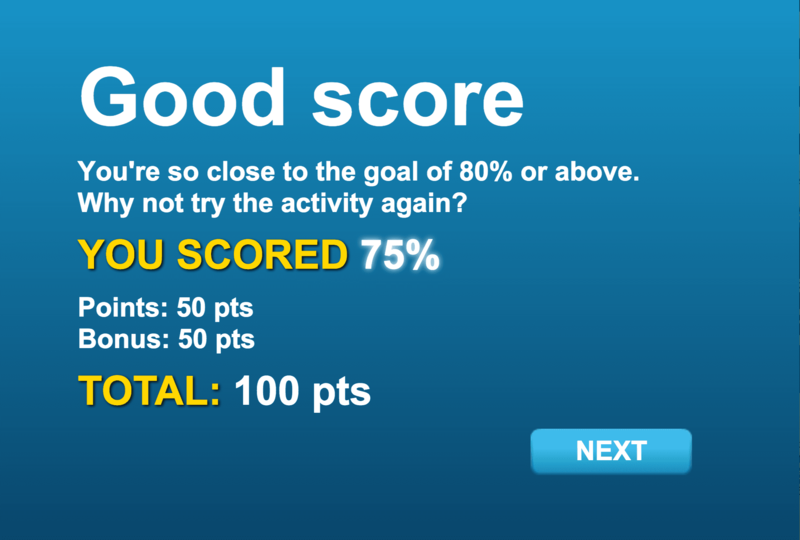 70-79% - Good score - You're so close to the goal of 80% or above. Why not try the activity again? 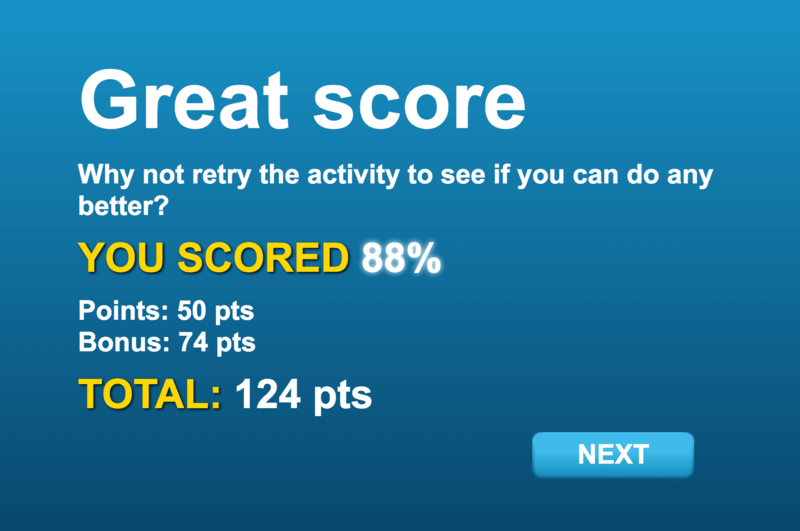 80-89% - Great score - Why not retry the activity to see if you can do any better? 90-100% - Excellent work - Keep it up!